Back from Arizona today, I survived my first mini sand storm! Today, I thought I’d share a few ideas with those of you who are interested in turning your DIY hobby into a meaningful business. If you love DIY as much as I do, or simply a wiz with a glue gun or have the ability to turn thrift store rejects into chic sartorial delights, you might want to think about turning this passion into something more. Most of us take on DIY projects for the fun of it. For me, I decided to share my love for DIY with others through my blog. If blogging is not for you, there are other ways to share your hobby with others and even turning it into a business of your own. There’s a thriving market out there for unique, handmade designs. It’s worth thinking about if you’re proud of your creations and want to share them with the world. You may have a blooming business on your hands! 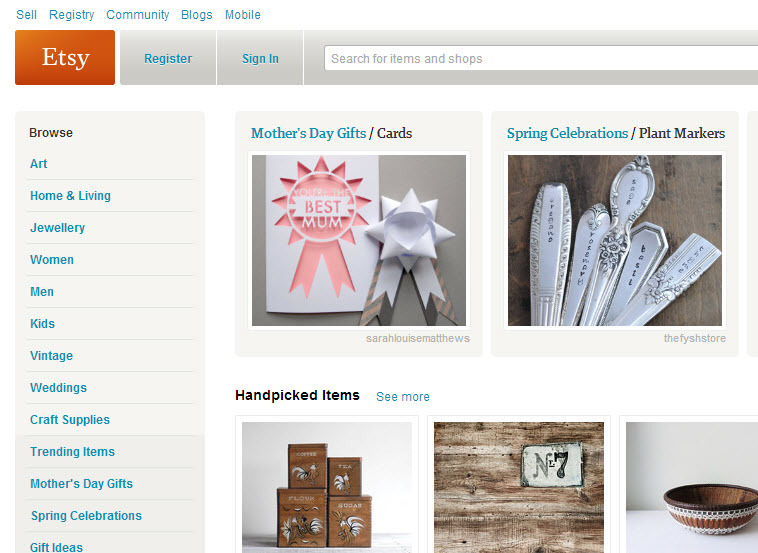 Perhaps the easiest way to sell your handmade crafts, beauty products, or fashion designs is online. The big websites like eBay, iCraft, and Etsy.com allow you to set up a vendor account and reach out to an audience of millions, for a small fee. This is ideal if you are just starting out and want to test the waters of selling your handiwork, because you can sell as much or as little as you choose. There’s no obligation to put daily work into your sales, but you’ll increase your chances of success if you use plenty of colourful and accurate descriptions in your listing. Great photos are also a must. Show your products from all angles, using a model if possible. These should be clear and well-lit to make them professionally appealing. Once you have landed a sale, ship your product immediately to get good feedback. This will help enable you to make more sales in the future. Selling on eBay from time to time is as easy as can be. However if you’ve been a busy bee lately and are churning out some great new products, you may want to take your business up a notch and open your own shop! It’s just about as simple as starting a blog these days, with free templates and shopping cart software doing away with the need to hire independent web design Canada professionals (i.e. I created my online shop through Shopify.com, which I LOVE!). As with selling on established sites, you’ll want to take killer photos of your designs and follow up on any sales with personalized customer service. Using an ecommerce design program can be worthwhile, because it provides you with secure hosting, website development, and a variety of payment options for your customers. To promote your shop, you’ll also want to create social media profiles and reach out to a wider audience with promotional deals and all the latest news. Even if you sell the majority of your designs online, you could hawk your wares in person as well. 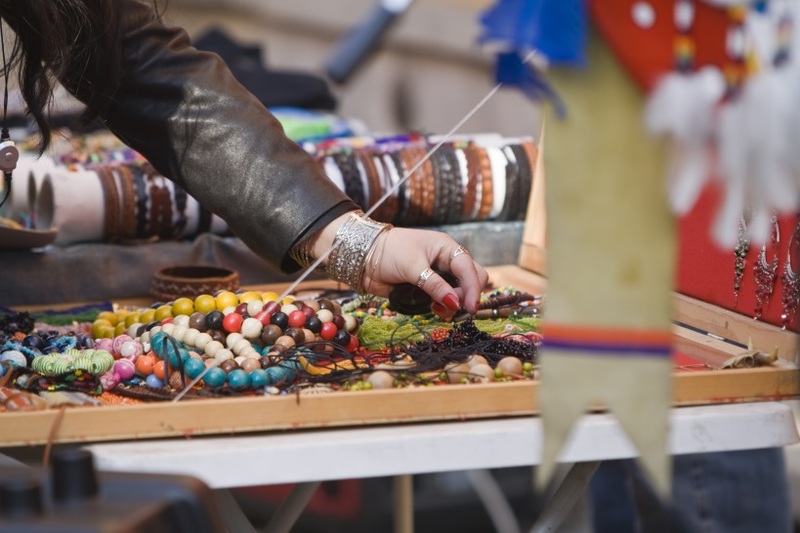 Trunk shows, craft shows, flea markets, and design fairs are all opportunities to get involved in the DIY community. Talking to other artists and vendors can be inspirational, and can also help you make valuable connections. You may make some individual sales or even find a more permanent local retail outlet for your designs, as ultimately this type of atmosphere is all about networking. Designers also use this time to conduct market research, because you can see what types of products are selling and who is buying them. This can help you narrow your business focus and earn some spare cash at the same time. To help facilitate sales in a market atmosphere, offer discounts and be sure to bring along plenty of business cards to direct visitors to your website! What other ideas have you tried or do you have to turn a DIY hobby into something a little bit more?! I’d love to hear from you! Disclaimer: This is a sponsored post, however the opinions and views are my own!